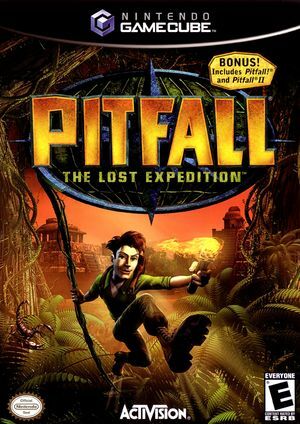 Delving deep in the Peruvian Jungle in Pitfall: The Lost Expedition, you assume the role of Pitfall Harry--a fearless, rough-and-ready treasure seeker who battles evil using his athletic ability and a knapsack filled with adventure gear. Your mission: Race against a rival explorer to find hidden treasures, which could spell doom for you and your friends if they fall into the wrong hands. The game challenges you to explore an obstacle-filled world featuring over 50 perilous levels, including lush rainforests, creature-ridden caves and vast glacial mountains. You'll be swinging on vines, avoiding crocodiles and dodging rolling logs as you unearth artifacts and use your cunning to defeat dangerous foes. The graph below charts the compatibility with Pitfall: The Lost Expedition since Dolphin's 2.0 release, listing revisions only where a compatibility change occurred. This page was last edited on 16 January 2018, at 12:16.